The Marvel movie now sits at No. 9 on the all-time box office charts. 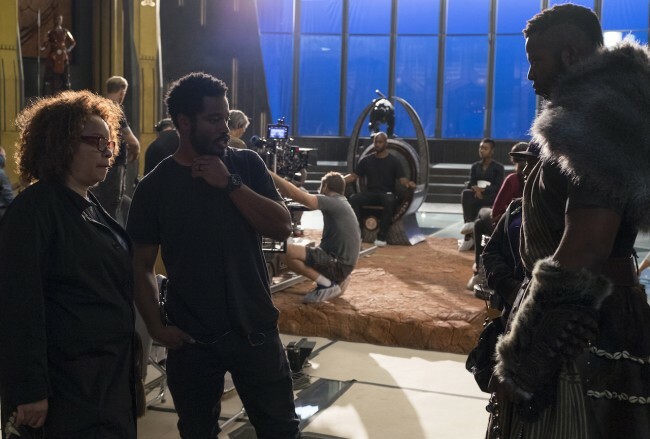 Months after it’s theatrical release Ryan Coogler’s “Black Panther” has hit a milestone at the box office, becoming only the third film ever to gross over $700 million at the domestic box office and joins “Avatar” ($760.5 million) and “Star Wars: The Force Awakens” ($936.6 million) in the exclusive club. While “Infinity War” has earned the biggest opening weekend of all-time and become the first summer film to earn over $2 billion worldwide, the slew of blockbusters that came after it like “Incredibles 2” meant that it couldn’t keep up the domestic pace that “Black Panther” set. After 15 weekends, “Black Panther” had $698 million, putting it in position to break the $700 million mark from grosses in discount theaters. With just 25 theaters still holding the film this weekend, “Black Panther” made $35,000 to hit the mark. With $1.34 billion grossed worldwide, “Black Panther” sits at No. 9 on the all-time box office charts, joining the three “Avengers” films in the top 10. It is also the only film in the top 10 to have made the majority of its grosses from domestic receipts, and only one of four films to do so while grossing over $1 billion worldwide.